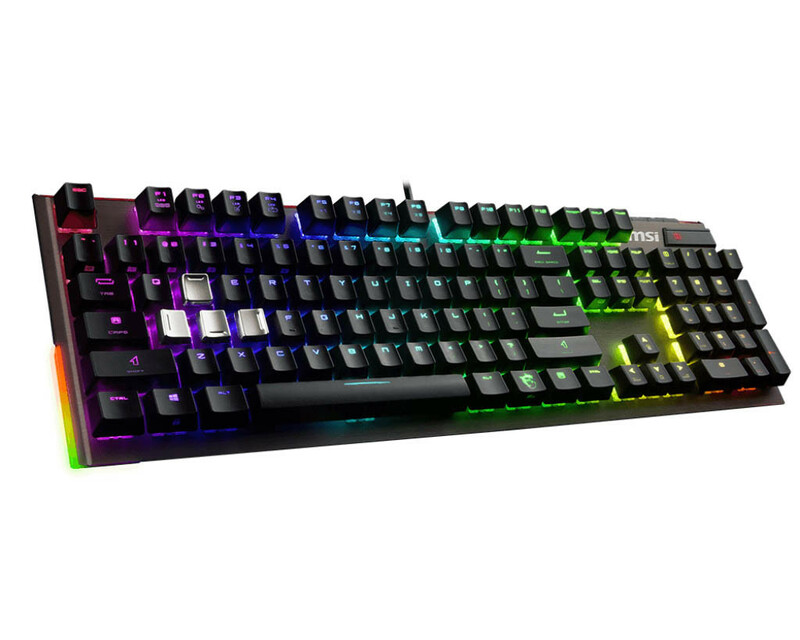 Micro Star International (MSI), today has launched the Vigor GK80 and GK70 GAMING Keyboard in their latest additions to its Gaming Gear line of peripherals. With a strong focus on illumination using MSI’s Mystic Light software, both the Vigor GK80 and GK70 offer a gorgeous outlook and allow gamers to fully customize their setup down to each individual key. It’s base is crafted out of anodized aluminum which gives both models a solid feel and is easy to clean thanks to the floating key design. They also feature a palm rest for comfort and braided cables Replaceable keycaps are included in two varieties: 12 with a rubber textured finish and 4 luxury metal keycaps to instantly find the right keys. 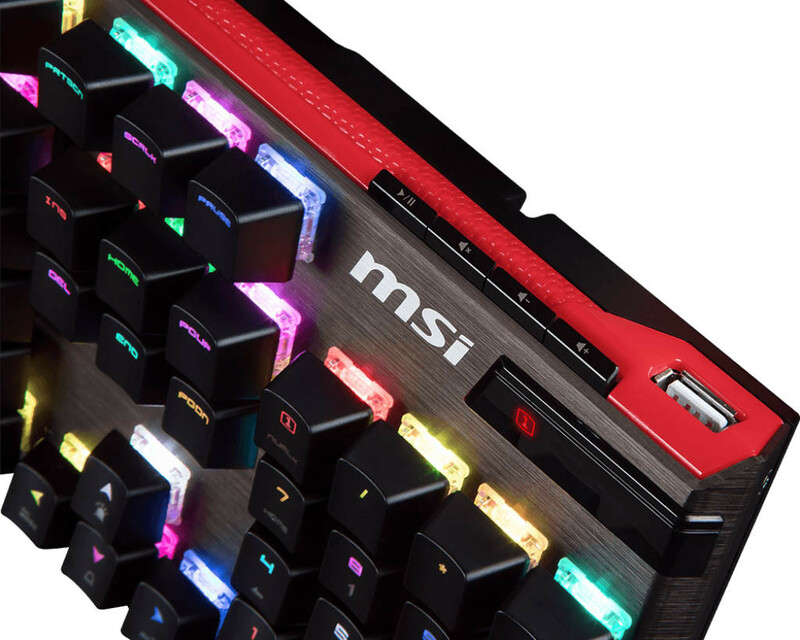 Both keyboards feature Cherry MX RGB LED switches and exclusive hotkeys linked to MSI’s exclusive Gaming App when paired with specific MSI GAMING series components for an amazing gaming experience, this can literally allow a CPU or GPU overclocking profile to be activated without closing your game. The keyboard checks all the boxes in feature lists to compete with the top brands. 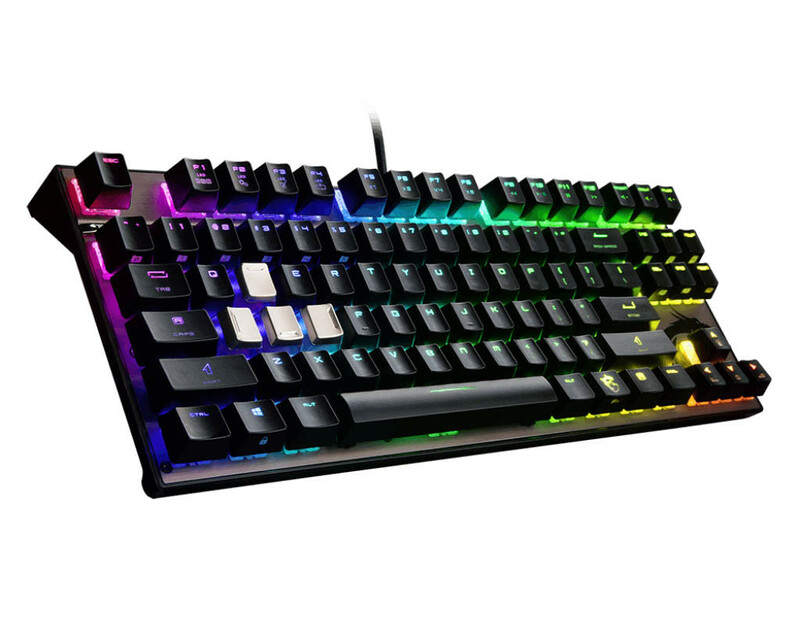 Built out of an aluminum frame, the Vigor GK80 provides everything you would expect from a high-end mechanical gaming keyboard with Cherry MX Switches, RGB Mystic Light and hotkeys for just about everything. It’s the extra’s that make this keyboard stand out from the crowd, like the additional keycaps that can be cleverly stored into the underside of the comfortable wrist rest. Equipped with dedicated media keys, the Vigor GK80 provides a volume control for adjustments while gaming. The pass-through USB port on the back of keyboard is perfect for connecting other peripherals like mouse or headset. Designed for gamers that prefer a tenkeyless layout to their setup, the Vigor GK70 features a smaller footprint and packs all the essential features into a smaller, clean-cut metallic design. Using Cherry MX Switches as a solid base, as with the others it is compatible with RGB Mystic Light Sync. The brand new MSI Vigor GK80 and GK70 GAMING Keyboard are available at Newegg today today.